Leagoo S8 Review, Specifications, Price and Phone Detail – this page contains all you know about Leagoo S8 . In this Leagoo S8 Review I will tell you the features of this Smartphone its good and bad. Leagoo S8 has 8MP +2MP front selfie cameras, fourth generation network (4G) and 2940mAh battery capacity, 5.7-inch HD display, 3GB Ram, 32GB internal storage memory, Android 7.0 Nougat operating system, 13MP + 2MP dual rear cameras. 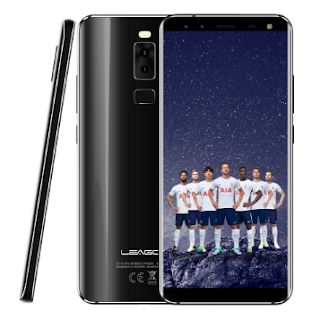 Although a lots of mobile phones have been coming to Nigeria market but Leagoo S8 has an outstanding feature with its uniqueness. More Feature – Metal Body Design, LTE Cat-6, 300/50Mbps Download and Upload, Dual Nano SIM, Computer Sync, OTA Sync, GPS, GLONASS, Tethering, FM Radio, Bluetooth, Rounded Edges, HD+ Display, 2.5D Curved Glass Screen, Infinity Display, 18:9 Aspect Ratio, USB Type-C.
Leagoo S8 is a good Smartphone good for your use with good camera Quality and high processing Speed buy through the link give above (top selling stores in Nigeria). It will be delivered to your doorstep.